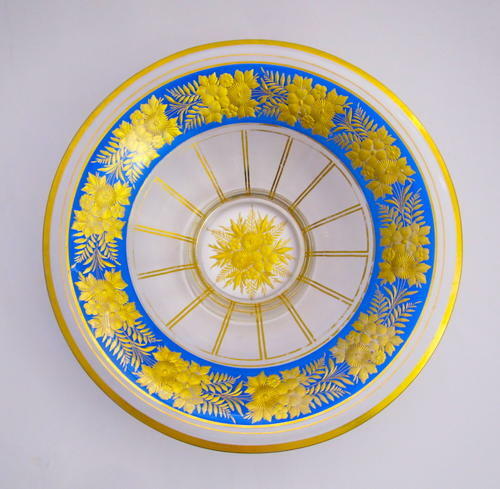 Stunning Antique Bohemian MOSER Blue and Gold Enamelled Bowl Decorated with Flowers. Constructed from Three Cased Layer Glass. Floral Decorative Motif is Executed using Composite Gold Enamel.